Salesforce Bellevue Debuts As One Of Washington's Best Workplaces! 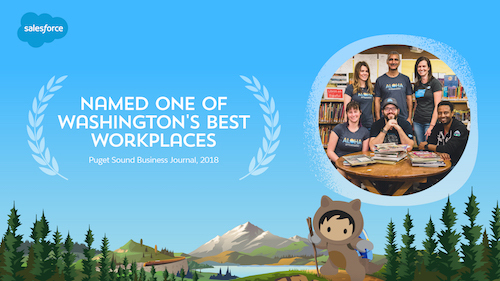 All of us at Salesforce Bellevue know what a great workplace we have, and so it’s with great pride that I share that the Puget Sound Business Journal agrees: we’ve been named one of Washington’s Best Workplaces! As the local office leader and SVP of Infrastructure Engineering, it’s particularly humbling to rank so high considering the quality and variety of companies on the list. For me, it has been an exciting journey to get to this point. It wasn’t that long ago that our Bellevue office was a collection of co-working spaces and remote offices that happened to be in the same zip code. And look at us now. Today, we are all in one gorgeous building with four floors (and three more coming soon! ), full of natural light that makes coming to work enjoyable for our 600 employees. But as much as I love our new space, it’s simply a physical expression of the culture that makes Salesforce Bellevue such a great place to work. What’s most important is the way our Bellevue team has created an Ohana (the Hawaiian word for “family”) all our own that takes care of each other, has fun together, and works collaboratively to make the world a better place. One thing that I’m excited about is our new Bellevue Site Council, a group of volunteers that meet regularly to ask, “What does ‘Ohana’ look like for us in Bellevue?” and “How will we capitalize on the uniqueness of our space and our location?” Their commitment to service is already making an impact in our community, from our sponsorship of this year’s Seattle Pride festivities to the work we’re doing with Stevenson Elementary. I’m particularly proud of the way that our employees have stepped up to help Stevenson, a school that has real need. Projects like our back-to-school backpack drive make a real difference for their students. We’ve also become the go-to volunteers when Stevenson’s administration has unexpected needs — that says a lot about our Bellevue Ohana. 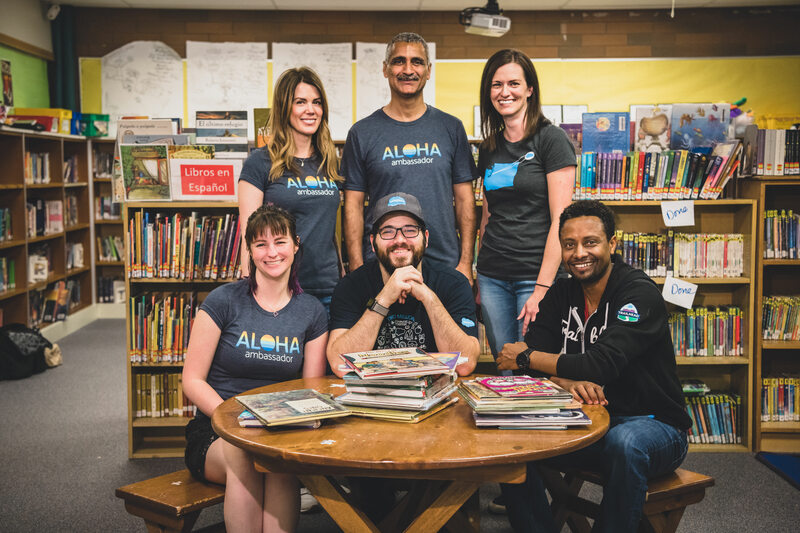 Caption: Bellevue Salesforce employees volunteering at Stevenson Elementary to help organize their library! 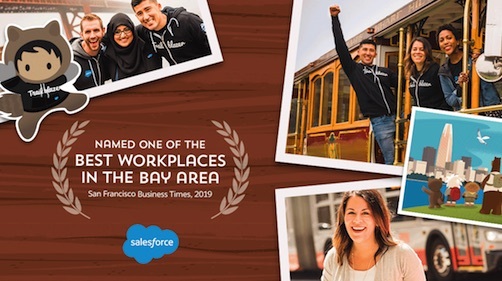 The Washington's Best Workplaces award is recognition of what’s happening in the Bellevue Hub -- but it’s just the beginning. I look forward to continuing this adventure with you and seeing the great things to come. 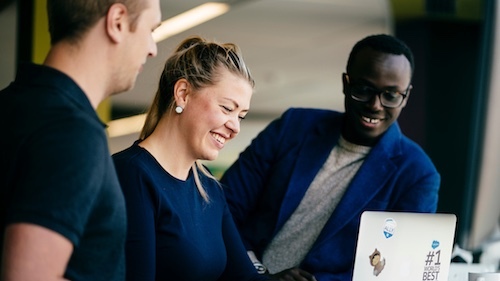 What gets Salesforce Bellevue excited about coming to work every day?